(AP) The chief marshal of Boston's St. Patrick's Day parade says he's back on board now that parade organizers have voted to allow a group of gay veterans to participate. 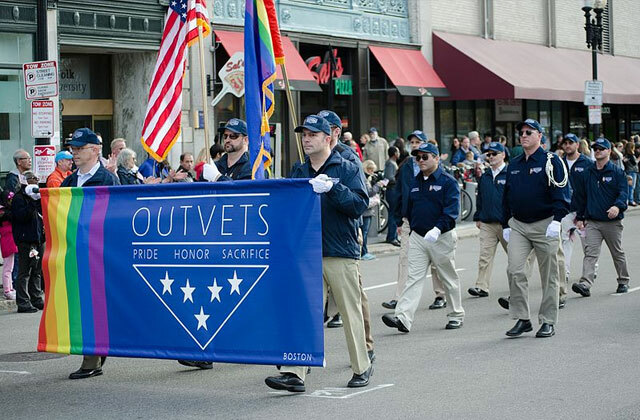 Dan Magoon said Monday that in addition to resuming the ceremonial role, he will march Sunday with OutVets. Magoon said last week he wouldn't participate this year after the South Boston Allied War Veterans Council voted to exclude OutVets over the use of the rainbow symbol, a sign of gay unity. After outcry, the council reversed course Friday. Magoon, a South Boston native and Army veteran who served in Iraq and Afghanistan, says allowing OutVets to march creates a "promising future." He is the executive director of Massachusetts Fallen Heroes, a nonprofit that honors fallen military personnel and helps their families.